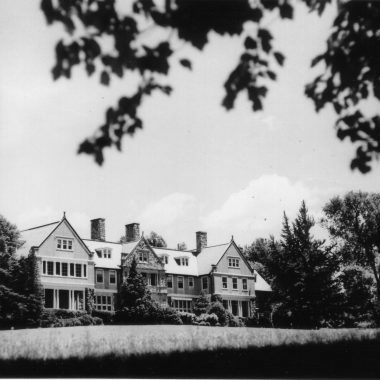 Blithewold, in Bristol, Rhode Island, is nationally significant in American history as one of the most fully-developed and intact examples of the Country Place Era in the United States, and for its high artistic value in representing the influence of the Arts and Crafts movement in this country. 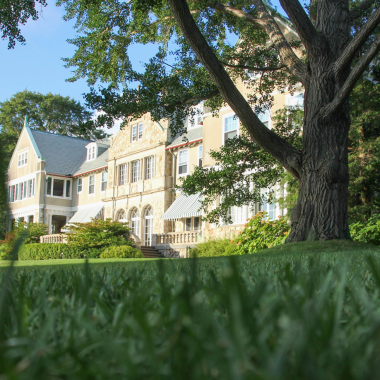 A fusion of architecture, landscape architecture, horticulture, and decorative arts, Blithewold is among the few late 19th and early 20th century New England estates that retain their integrity and authenticity down to the details of plant materials and interior furnishings, family archives and artifacts. 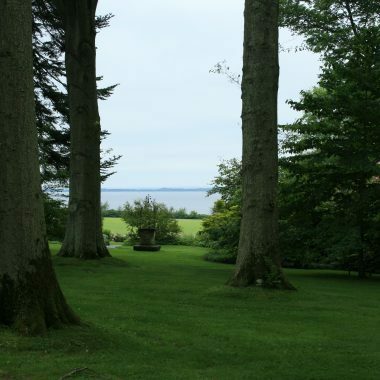 The gardens, the Mansion, and outbuildings are, together, an important antecedent in the development of the 20th century New England country home landscape. Bessie described her vision for “a park with distinctive features, using the house as a centre.” The original aesthetic intent was established in the Great Lawn and surrounding gardens and in the name that they gave to it, Old English for “happy woodland”. It was deepened by the design of Blithewold II after the first mansion was destroyed by fire in 1906. Both the Mansion layout, with its kitchen, laundry, and other conveniences, and the 1909 Garage, with its fueling and repair facilities, reflect the sensitive adaptation of medieval and 19th century precedents to meet modern needs. These buildings joined the 18th and 19th century site elements to create the sense of a family retreat that had evolved over many decades and two generations.